Hello everyone! 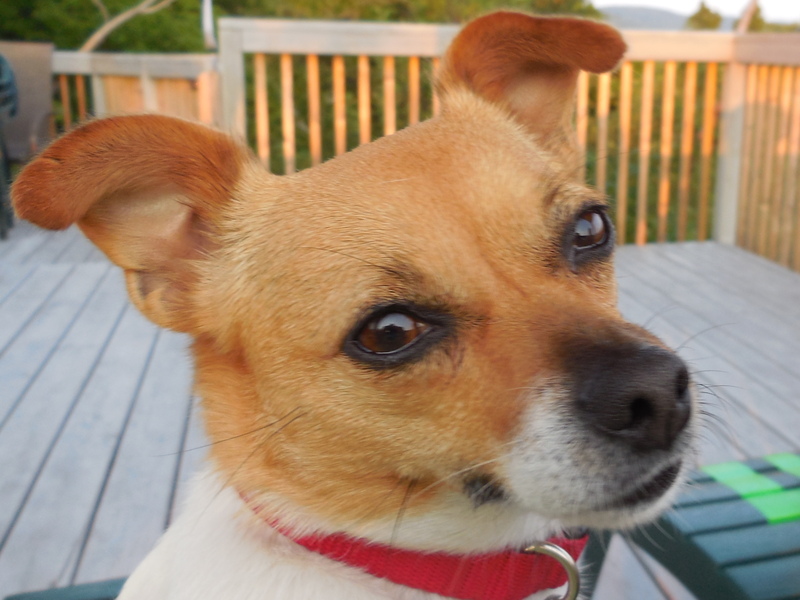 My name is Emma and I am a chihuahua/terrier mix. People tell Mom and Dad they are sure the terrier is Jack Russell. My story begins in a shelter. I was taken there with my three puppies. The shelter has a reputation for euthanizing puppies. That’s a fancy term for, “It kills puppies.” Luckily, Ms. Candace and her friends at Critter Cavalry Rescue found out about us and got us from the shelter and found us a foster home with Ms. Emily and her family. Two of my puppies were adopted by people I didn’t know and Ms. Emily adopted my other puppy. She thought about adopting me because I’m such a cool dog, but my mom and dad came along and took me home with them. I live with three cats: Barbara, Charlie, and Oliver. I like to chase Barbara and Charlie and I get put into time out. Barbara gets even by peeing in my bed. Oliver scares me a little so I leave him alone.